We woke up Saturday morning, day 4, to cloudy and humid conditions. About an hour later the rain started, slowly at first, then building to a full fledged downpour that lasted about a half hour. We were wandering through the swap meet area and took refuge under an awning by the main showers with a few other guys. After it was done raining, the heavy stuff anyway, we slogged our way over to the MX track as they were just getting underway with the first motos. 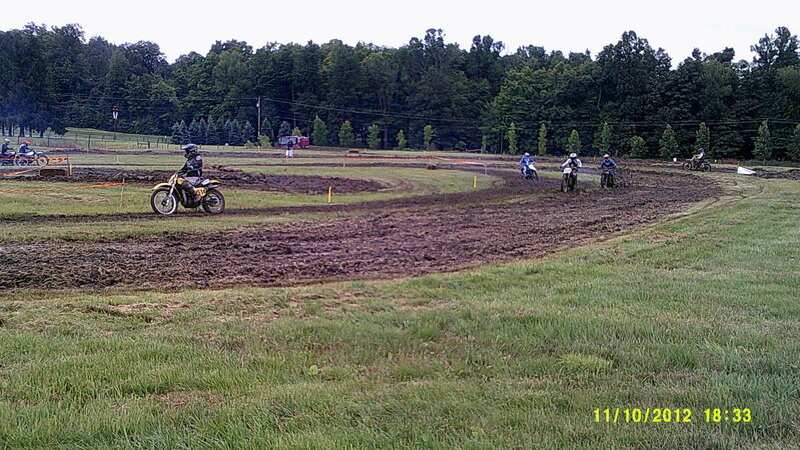 That was a sloppy mess as most of the bikes got drowned out or stuck on the first couple laps. 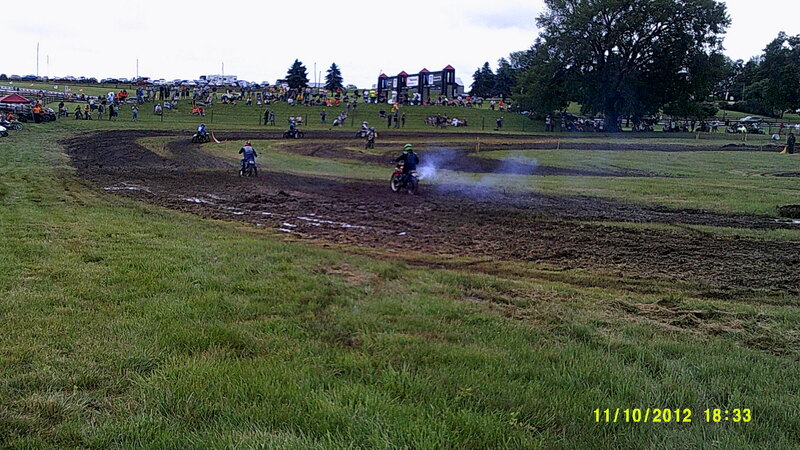 The ruts were becoming a problem and the greasy muck robbed major horsepower from the smaller bikes. We watched for a while, dodging rainshowers most of the time then wandered back to our campsite. I found out my tent is not waterproof as advertized. Luckily, I had put my sleeping bag and clothes on top of the air mattress and so the important things were still dry but there was a large puddle in the tent that I had to bail out, and my shoes were soaked through. We faired better than the neighbors as they had a small river running right through their campsite. When all the rains stopped somebody said we had received an inch and a half. I believed it, too. 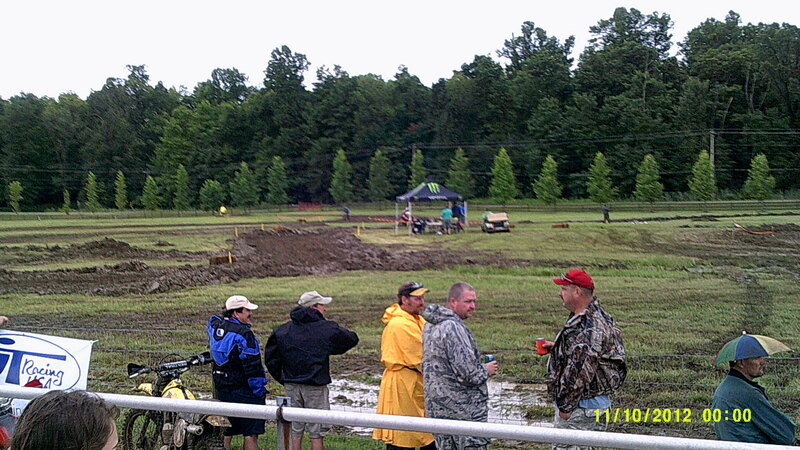 Our two Gold Wing riding buddies from Kentucky had pulled out before the heavy rains started. I’m pretty sure they got soaked not too far down the road. We got to know our other neighbors that evening, a BMW rider from Indiana and an older gentleman from Michigan who rode a Suzuki V-Strom 650. Then we hit the sack at about 9:30, just as it was getting dark. Sleep was not easy to come by with all the rowdies shooting off bottle rockets and revving their bikes til the wee hours in the morning, however.